Oh My God. I so don’t know how to describe today, it was seriously just too overwhelming. I guess that the best way to do it is to start at the beginning, right? I left the muggle in-law’s house today at around 5:30-ish. The sun was still a ways from being up, let alone useful, so I took it easy initially on the speed. There are a LOT of deer in New Jersey and New York and I am in a very pretty rental. On my way out of the neighborhood, I saw a very bushy, foxy fox finishing up a wild night out on the town. I took that as a good omen. I had a little discombobulation following the lovely Georgina Philipa Smith’s (GPS) directions for a bit, but she got me settled and on my way out of New Jersey. 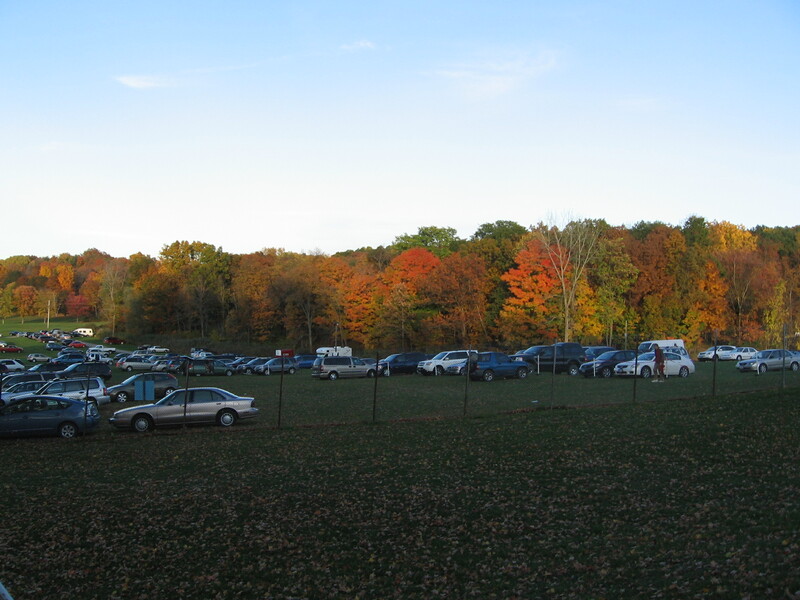 As the sun got brighter, I got to see more of the fall color. It got pretty nauseatingly bucolic. Mountains covered in red and gold and green. Stone houses and the smell of wood smoke. And then I got to the bridge. I never really looked at where Rhinebeck is in New York. I would have known if I had paid more attention that it is in the Hudson River Valley. 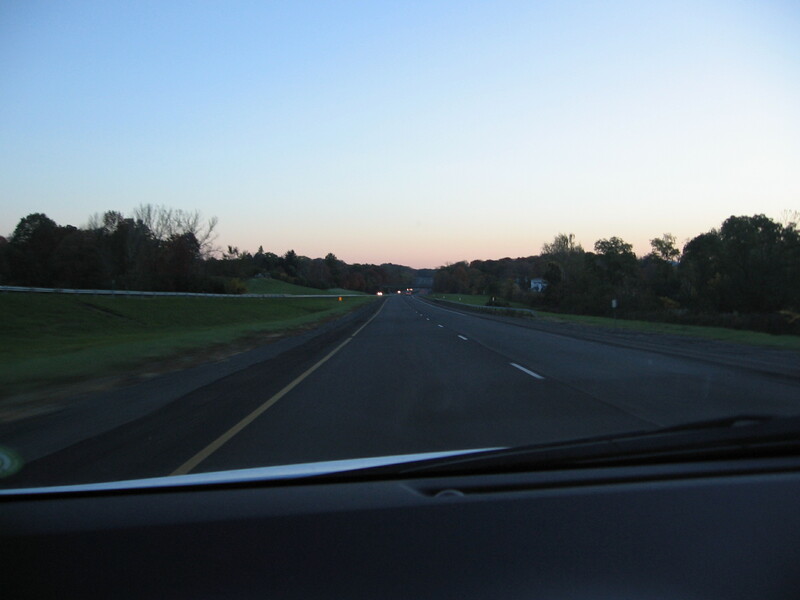 I went over the Hudson River on a VERY tall bridge at the perfect time of the morning in the middle of the fall color season on my way to Rhinebeck. I have to admit, I started manically laughing and whooping. It was just one of those moments where it was just really good to be alive! 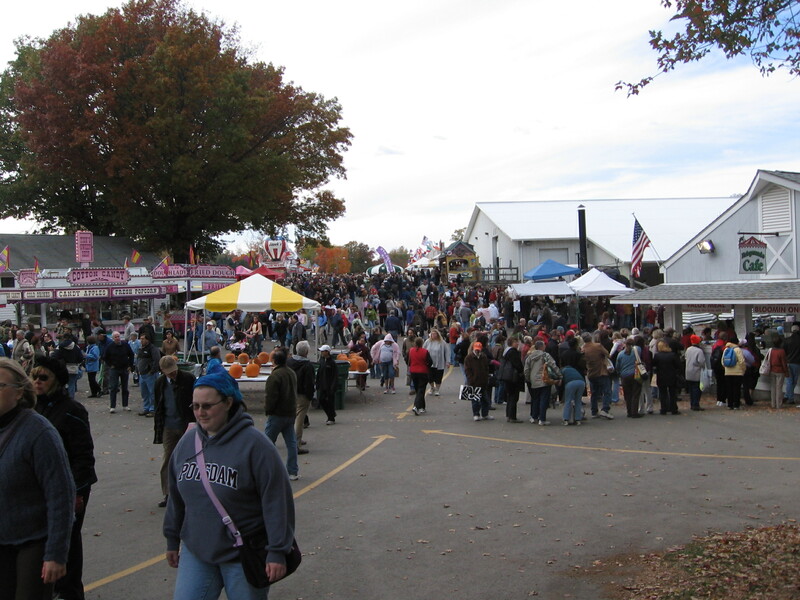 Not long after that I arrived at the fairgrounds and went to find my workshop. 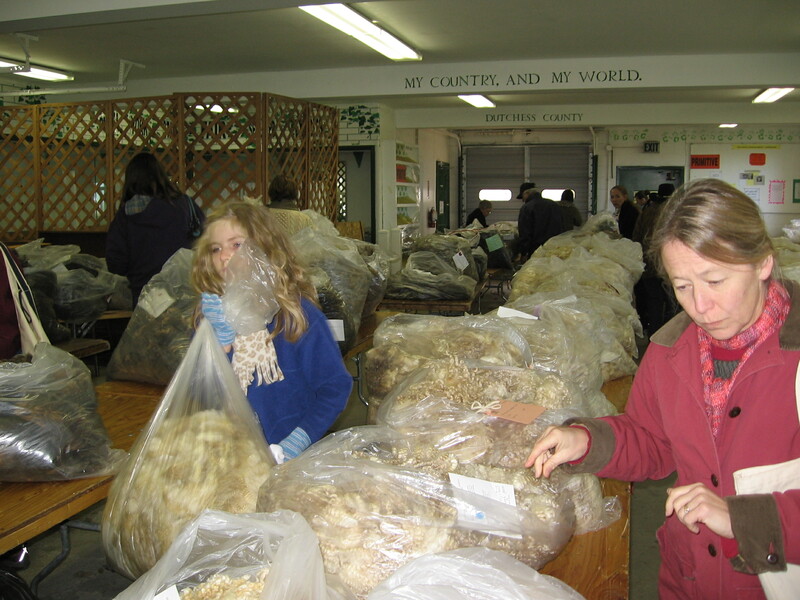 It was on Selecting the Right Fleece and it was taught by Letty Klein who has judged fleeces for several years. I was a really great class, she was very good at describing the things to look for to us in a detail and manner that made them make sense better than just reading a book could. As I was going into my workshop I spotted Lily Chin going to teach hers! I felt like I had just spotted crochet royalty! After my workshop, I started going through all of the other buildings. There were a LOT of vendors there. Hundreds. And there were thousands of people. It was truly amazing. I tried to take some pictures, but I am total crap about it. So, I did a lot of shopping which, for me, means a lot of looking and not a lot of buying. For a while. Then I found some really lovely wool/alpaca and wool/silk rovings at a fiber guild stall, then some more rovings at another stall and, well, you get the idea. First trip to the car. I then came back and promptly bought both a long sleeved t-shirt and a sweat shirt with last years design on it. What can I say? I liked last years better and the two shirts together cost less than just a t-shirt alone of this years. 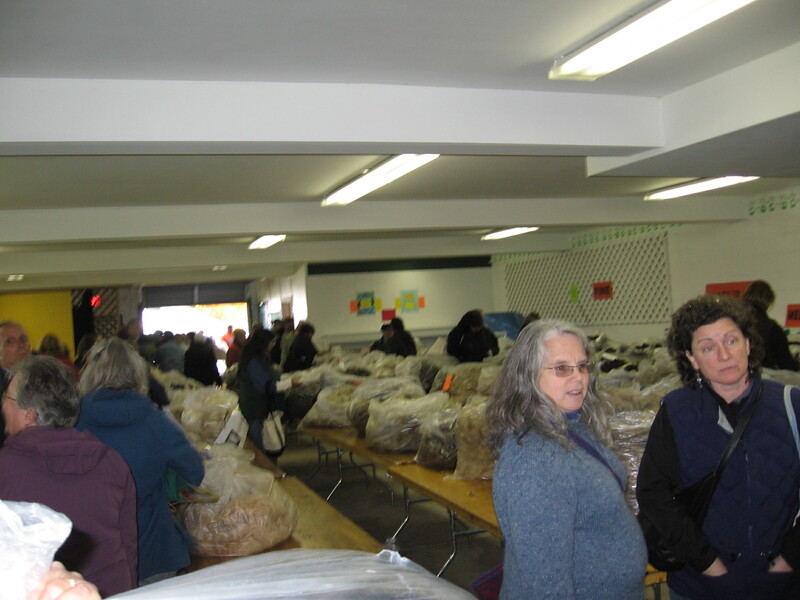 I then hit the fleece sale. This was one of those moments where things got a little crazy. A whole lot more than 3 bags full! No, those aren’t all mine (honey, you can start breathing again, I’m serious). I got three but wanted twenty. Easily. 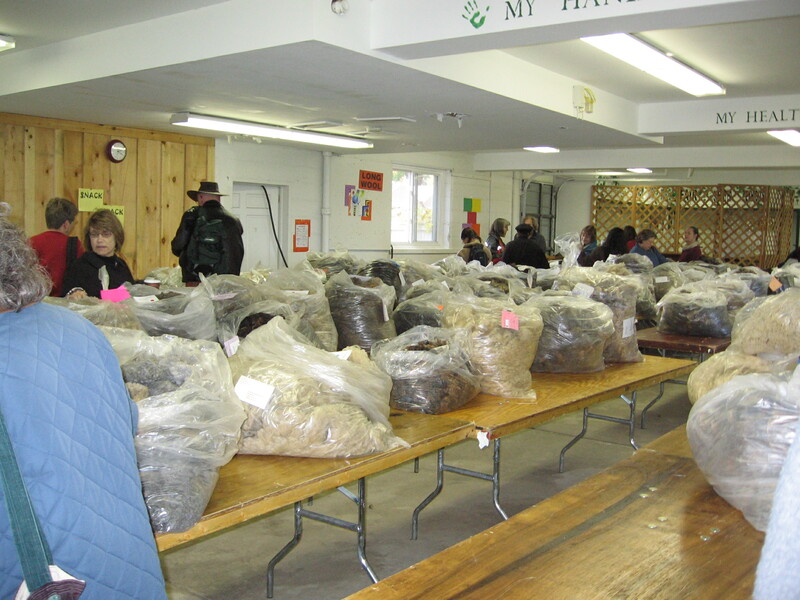 The whole room smelled like sheep and there were all these beautiful fleeces (and I’m sure that there were even more beautiful ones earlier but I wasn’t willing to wait in line for them to finish the judging). I didn't get naked, it was too cold. They were of all different colors, from an almost rust red to black and all shades of white and cream. My hands were constantly straying into new bags even as I waited to pay for the three that I already had. Wool will do that to you. Especially when there is so much of it and it is all displayed in a way that just BEGS to be grabbed and fondled. 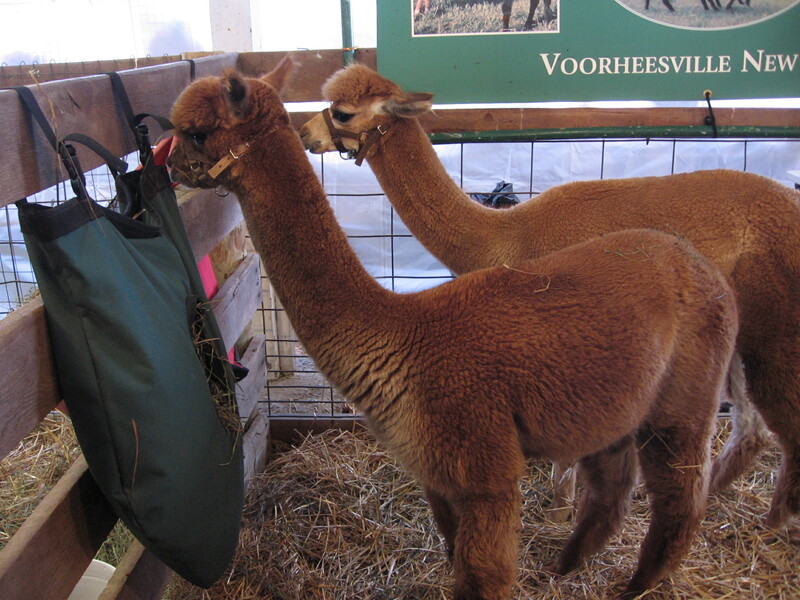 From there I went to the alpaca barns. I want one. They not only produce my favorite fiber (so long as it is clean!) but they are cute as all hell to! Don't you just want to cuddle us? Every time that I would turn a corner, something new would surprise me. 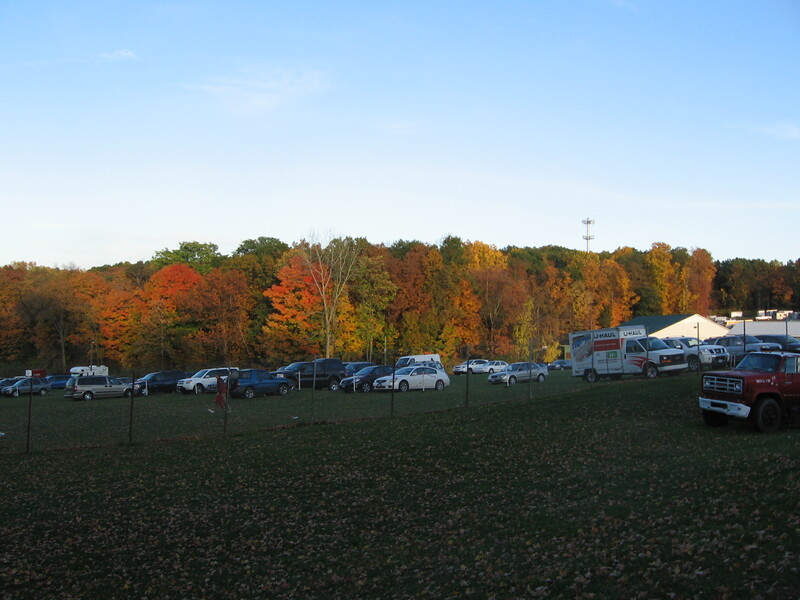 Even just the fall colors looking out across the parking lot took my breath away. 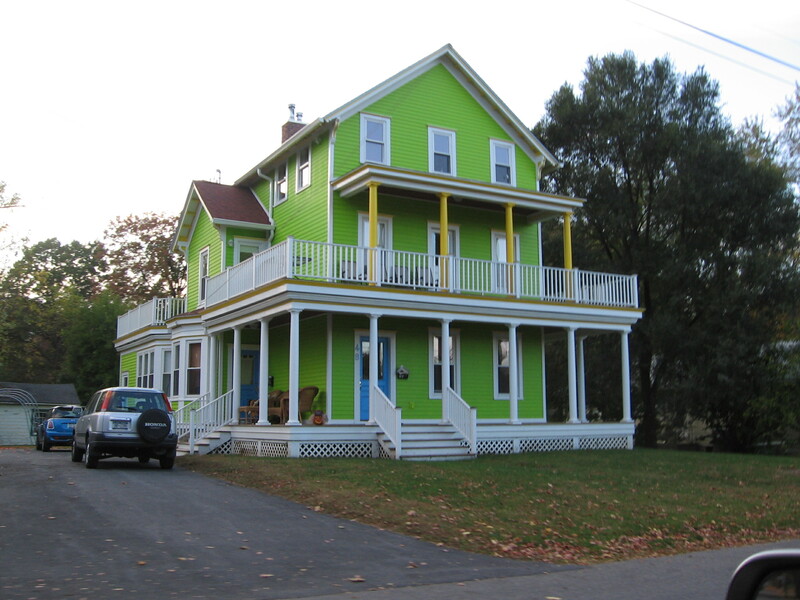 On my way to the Ravelry party I saw this awesome house. All that I could think is that these people are angry with their neighbors. This could be a fun roving color combo. "Angry House Owners"
The Ravelry party was super fun. It was, however, super cold as well. I had broken down a bought a pair of “hybrid” mittens during the day (handmade, 100% alpaca, $18, don’t worry I will take a picture to explain the hybrid bit, just not now it is 1:30 in the morning and I am quite tired) so it wasn’t as bad as it could have been, but it was still pretty bad. They had awesome goodie bags for us (once again, will picture later) and yummy treats and cupcakes and stuff. It was packed! 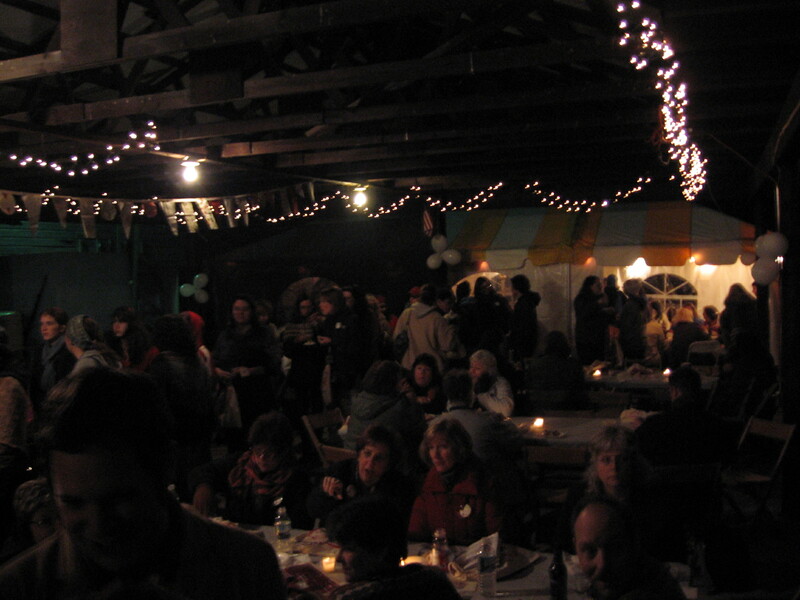 I don’t think that the Ravelry folks expected quite so many people to come. They had a LOT of great door prizes to give away and yours truly won one! It is a very cool sock kit from Classic Elite Yarns. This might give me the inspiration needed to learn how to knit socks! As it drew closer to nine o’clock, I grew both colder and more aware of the two plus hour drive back to New Jersey in the dark. So I reluctantly left and drove home, exalting in the floor aimed heating the entire way.